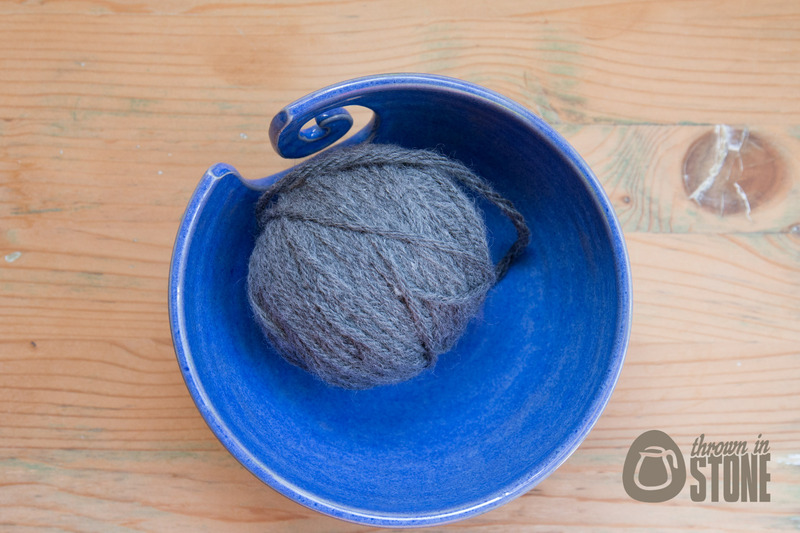 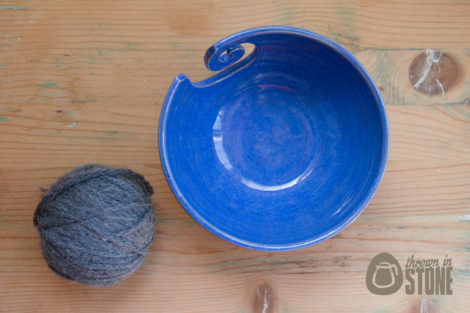 This handmade yarn bowl was thrown on my potter’s wheel using strong white stoneware clay. 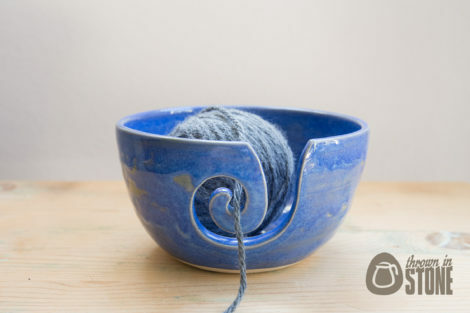 A spiral to thread your wool through was carved out before the clay dried. 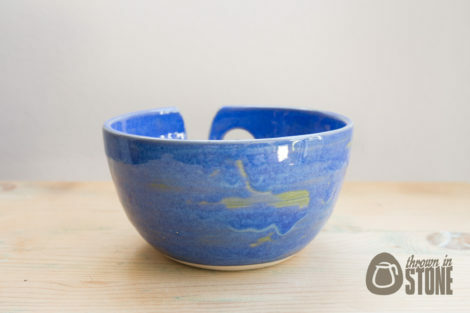 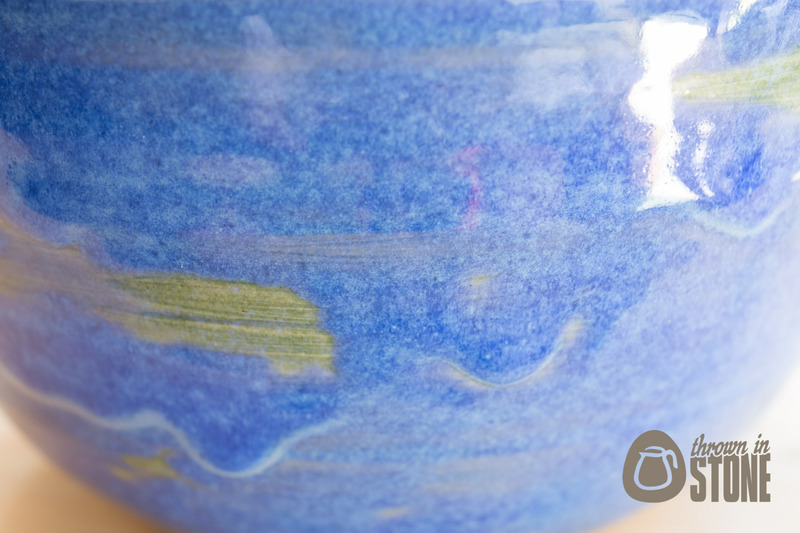 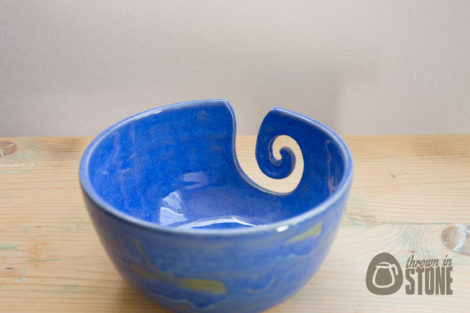 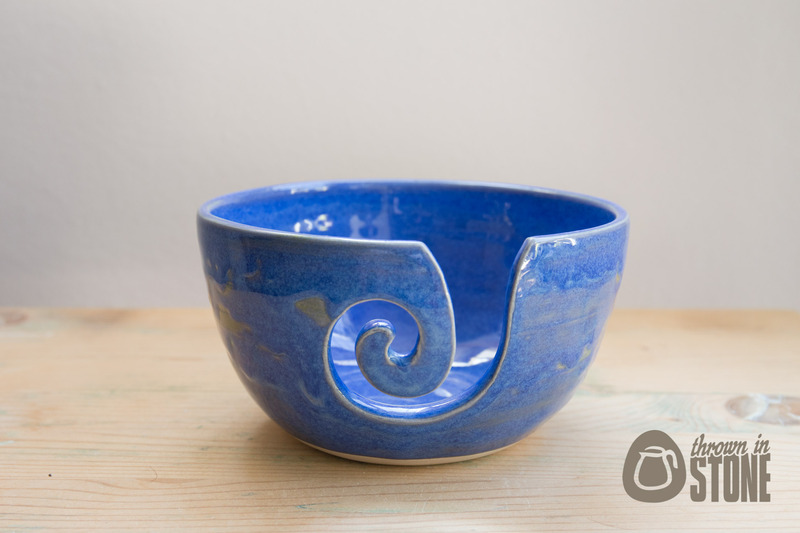 I finished this bowl off in this wonderful vibrant blue glaze which breaks in patches to green.